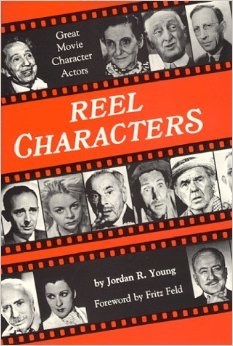 It was great to find this 1986 book by Jordan R.Young (Thanks,Bob). I’m always complaining that not enough Classic performers were interviewed in their later years- especially character actors. Well, Mr Young made it his mission to seek out 12 of the best and his book is a must read. Who can forget Fritz Feld as the eccentric psychiatrist in Bringing Up Baby, or 30 years later, as the maitre d’ in Hello Dolly. Fritz came to America with Max Reinhardt and soon established himself in Silents and early sound films. He was also involved in directing and worked as a dialog director on many films. He subsequently became editorial assistant to Ernst Lubitsch who was production chief at Paramount.. But before he had a chance to direct,Lubitsch departed – first recommending his assistant to director Wesley Ruggles for the role of the indignant Swiss hotel clerk in I Met Him in Paris. “As a character actor you last longer. We don’t have to worry about our appearance. Each studio had a different way of typing me: at Universal,I played only butlers ; at Paramount,mostly counts with monocles; at MGM,conductors of orchestras; at RKO,gamblers and strange individuals; at Fox, train conductors,postmen and ministers. ” It doesn’t bother me at all, playing so many waiters . Each one is different a little bit. What is the art of acting but observation? How do they smile, how do they walk? In 1985 Fritz Feld had celebrated 45 years of marriage to actress Virginia Christine. 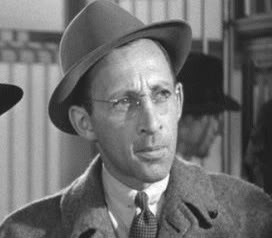 My most recent memory of Charles Lane is in Teacher’s Pet, in which he played a newspaper man alongside Clark Gable. Like all the great character actors, he was completely believable. His career spanned four decades, from his first, Smart Money in 1931 through Twentieth Century,Mr Deeds Goes to Town,,In Old Chicago,Ball Of Fire, Arsenic and Old Lace. He worked for all the studios. Charles reminded the author he made nine pictures for Frank Capra over a 17 year period, starting with Broadway Bill in which he played a crooked gambler. Capra never typed the actor – he was the revenue agent in You Can’t It With You,the obnoxious reporter in Mr Smith Goes to Washington. Charles made an astonishing 125 pictures from 1936 to 1941 (31 alone in 1941). Lane acted in some first rate films with Hollywood’s finest. The other actors who are interviewed are Sam Jaffe,John Carradine,Burt Mustin,Anita Garvin,Rolfe Sedan,Iris Adrian,Beulah Bondi.John Qualen ,Elisha Cook and George Chandler. This is my contribution to the great WHAT A CHARACTER BLOGATHON which you can see at Paula’s Cinema Club. Marvelous selections for the blogathon. I think I was in my 20s before I put Charles Lane’s name with his face. Up until then I called him Homer Bedloe, his recurring character on “Petticoat Junction”. He’s such a joy to watch. An unusual role for Fritz Feld is in the 1954 western “Riding Shotgun”. He’s still in the service industry as the owner of a bar, but he’s got a large family and a smart-alec tough-guy attitude. Wish he’d had the chance to do more things like that. Afraid I don’t know Petticoat Junction. Maybe not shown in the UK. It is always great to see a character actor step outside his usual screen character. Thanks for these two portraits of really great character actors. (I joke about him from time to time, but Charles Lane is one of my favorites.) I’ve never read the book, but how wonderful these character actors were interviewed. This book sounds so interesting, Vienna! I think I may have to try to hunt it down. I especially enjoyed the commentary by Fritz Feld, like reading about all of the similar roles he played, and he and Hawks going to the racetrack, and the story about Anatole Litvak and the 36 takes. That was a hoot. Good stuff! By the way, I love your books BAD BOYS,THE ACTORS OF FILM NOIR and FEMME NOIR,BAD GIRLS OF FILM . Thanks for this great post on two of the most obscure but absolutely great character actors. Agree with Karen above, I NEED to get a hold of this book. It’s available very cheaply on Amazon. Great book. Thanks for a great post on two fabulous actors! 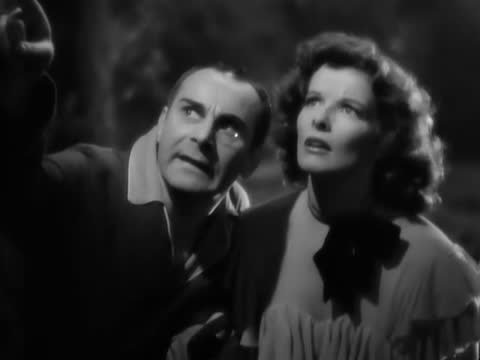 I like Feld in Bringing Up Baby, particularly. Love the excerpts you quoted, too. 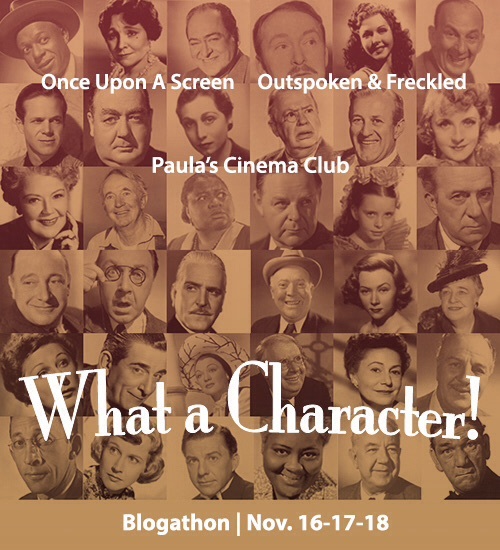 This blogathon has made me extra-excited to look for all these character actors in every film! It’s great that these actors are getting the recognition they deserve. I agree Fritz Feld is a joy in Bringing Up Baby. What a great book this sounds to be: must look out for it. Thanks as always. It is a great book. Thanks for your comment. Fritz Feld is like the Wes Harrison of his day! Wes Harrison and Fritz Feld can make sounds!